How to create a commercial Family Photoshoot Contract? Download this Family Photoshoot Contract template that will perfectly suit your needs! Professional photographers need to give consideration on how to communicate with their clients. Communication in situations that involve legal or financial complications request extra attention. However, the commercial side of a deal is also very important. The contract should not become a 'big thing'. By using our ready-made Family Photoshoot Contract, you will be able to make the perfect contract for your photography business. This Family Photography Contract template covers the most important subjects and will help you to structure and communicate in a professional and legal way with those involved. 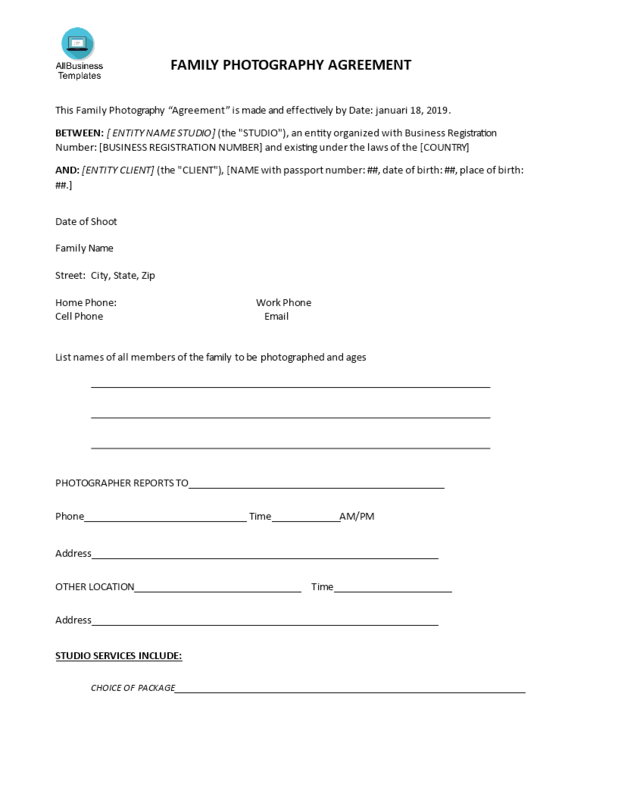 Download this professional Family Photography Contract template now and save yourself time, efforts and possibly reduce the lawyer-fees in order to become more successful. However, we still recommend you to consider to find local legal support in case you have doubts this contract is suitable for your situation.